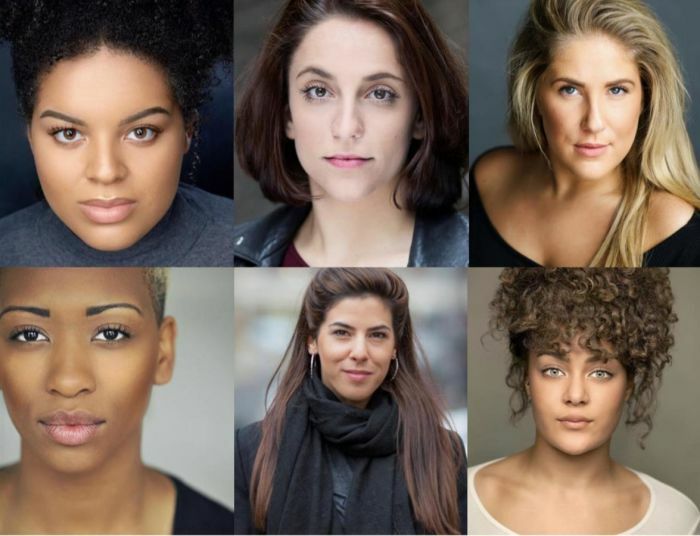 The 6 wives of Henry VIII are back, and singing their way out of the history books – cast and creatives have been announced for the London premiere of new British musical Six. From Tudor queens to pop princesses, and with songs including Ex Wives, Haus of Holbein and Don’t Lose Ur Head, Six is a pop concert hailing from the Edinburgh Fringe, which remixes 500 years of historical heartbreak into one hour of 21st century sass. The cast, in order of their characters’ marriages to the infamous monarch, will be Renée Lamb will play first wife Catherine of Aragon, Christina Modestou (Nina, In The Heights) as Anne Boleyn, Natalie Paris (Sunday In The Park With George, Menier) as Jane Seymour, Genesis Lynea (The 4 O’Clock Club) as Anne of Cleves, Aimie Atkinson (who played Daniela in In The Heights; BBC’s Voice of Musical Theatre contest winner) as Catherine Howard, and Izuka Hoyle (Selena in Working, Southwark Playhouse) as Catherine Parr. Six started life with Cambridge University Musical Theatre Society at the Edinburgh Festival Fringe last year, where it was nominated for the inaugural Musical Theatre Review Best Musical Award. The original production, directed by Jamie Armitage, attracted the attention of producers Kenny Wax and Global Musicals, who are presenting this all-new production for the show’s professional premiere at the Arts Theatre in London, with performances on 18 December, and 8, 15 and 22 January. Lotte Wakeham (Upper Cut, Southwark Playhouse) will direct the new production, while Cressida Carré will choreograph. The show is written by Toby Marlow and Lucy Moss, theatre-makers who met at University. Six is participating in London Theatre’s New Year Sale, which opens for public booking on Tuesday 5 December. Mastercard cardholders can secure seats early through Priceless – visit the New Year Sale website for more information.